While I have been an active amateur astronomer since the early 1970’s, I built my first permanent roll-off roof observatory back in 1996. 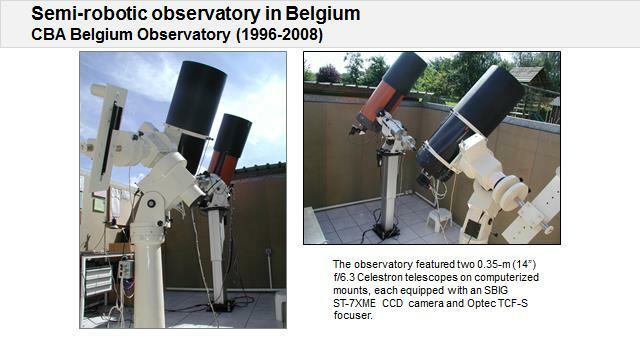 I used it intensively to study cataclysmic variables and expolanet transits, using a/o two 35-cm telescopes. 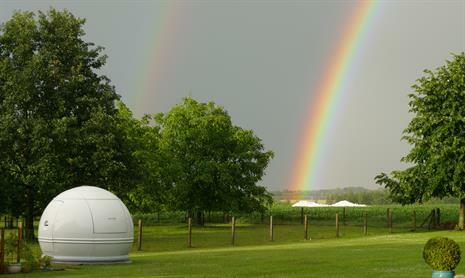 Most of the equipment in the observatory was fully automated, except for the roof structure, which required human interaction to open and close the observatory. This made it impossible to operate the telescopes while being away from home. In 2013, I started to develop plans to build a fully robotic obseratory that would be able to operate all night long, without any human intervention. My design requirements were rather extensive: the observatory should be able to start operating autonomously on a clear night: open the shutter, cool the CCD camera, heat the dew removers, precisely slew the telescope to a target object, autofocus the star, acquire a series of images, then move to the next target and so on, till morning twilight appears. 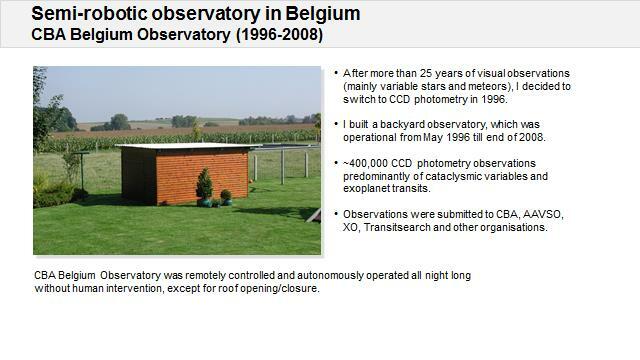 It then has to turn off all equipment, moving the telescope back to its home position, closing the dome shutter, etc. 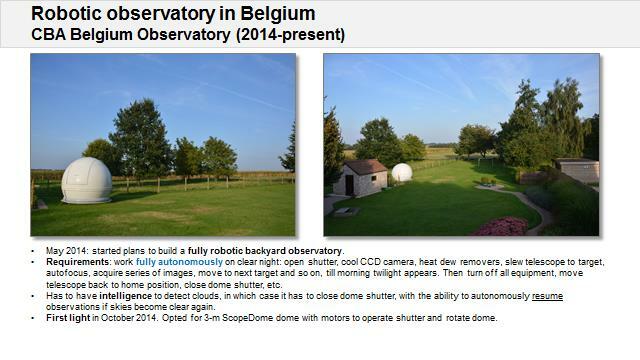 In addition, the observatory should have the intelligence to detect clouds, in which case it has to switch to ‘emergency’ mode closing the dome shutter, with the ability to resume observations if skies become clear again after a while. I started building the obseravtory in my backyard in May 2014. 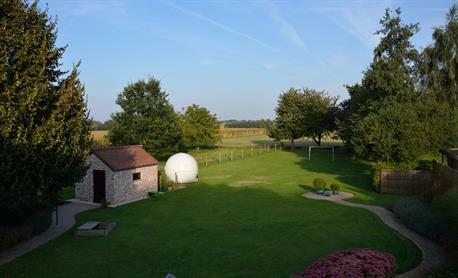 I opted for a 3-m Scopedome dome, equipped with motors to rotate the observatory dome and to operate the shutter. 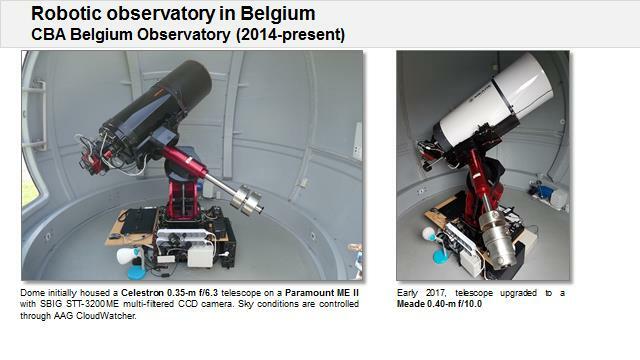 The observatory saw first light in Oct 2014, initially using a 0.35-m f/6.3 telescope, which was upgraded to a Meade 16” (0.40-m) f/10 ACF telescope in Jan 2017. The facility operates fully automated on a every single clear night, irrespective whether I’m at home or working abroad. All equipment is controlled through a software program ObsAS (Observatory Automation Software), that I wrote myself. Waking up in the morning with a fresh new series of CCD images obtained autonomously over the course of the past night remains an awesome experience!